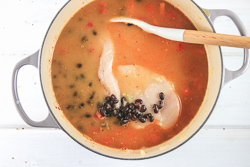 This soup is filled with colorful veggies, lean chicken, and savory broth. But let’s face it, the real reason we love this soup is that of the garnishes! 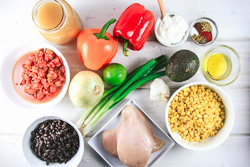 Elevate your experience with toppings - load up on green onions, avocado, cilantro, a zing of fresh lime juice, and even a little sour cream. So delicious! 1. 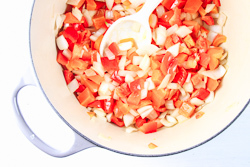 In a large soup pot, sauté the red pepper and onion in the olive oil until the onion is just translucent. Add the garlic and saute another 2-3 minutes. 2. 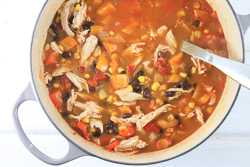 Season with the spices, and then add the chicken breasts, lime juice, tomatoes, black beans, and chicken broth. 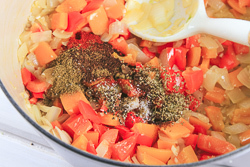 Bring to a boil, and then simmer for 20 minutes, or until chicken is cooked through. 3. 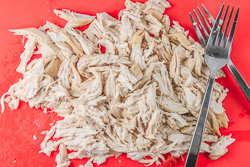 Remove the chicken breasts and shred with two forks, then return the cooked and shredded chicken to the soup. Add in the frozen corn, stir and heat until soup is simmering. 4. 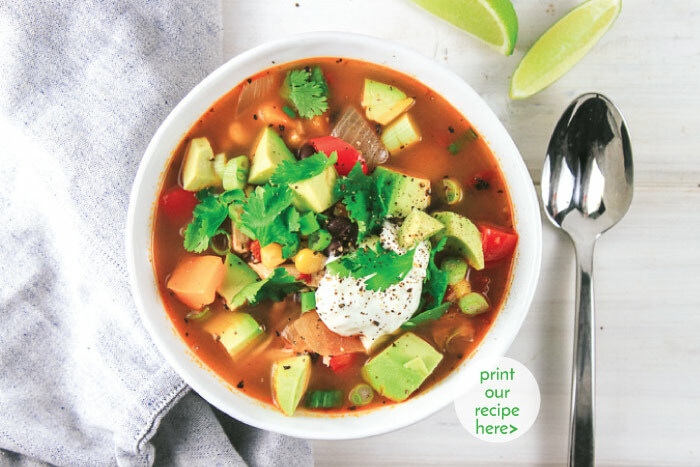 Serve hot with a garnish of green onions, avocado, cilantro, and sour cream.